Wait, Are The Game Of Thrones Creators Doing An Full Star Wars Trilogy? The Star Wars franchise is in a fascinating place currently, as we inch closer to the release of Episode IX. 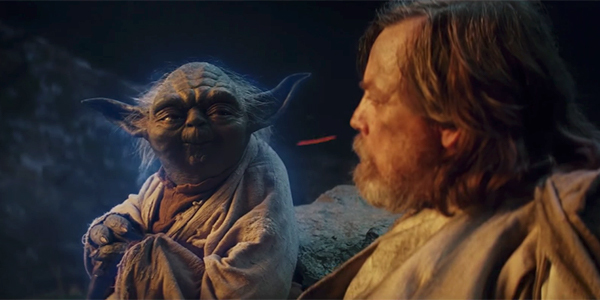 The pressure is on for J.J. Abrams to deliver a satisfying blockbuster, which will end the current trilogy and wrap up the Skywalker Saga forever. Once that sequel arrives this coming December, the future of the galaxy, far far away is a complete mystery. By the old Gods and the new, it looks like D.B Weiss and David Benioff’s upcoming Star Wars movie might actually include plans for two more. And considering how well they’ve crafted the long and complicated story of Game of Thrones, this concept is enough to get even casual fans excited. Of course, Casey Bloys’ comments to TV Line aren’t a confirmation that the duo of filmmakers will actually go through with three blockbusters. It’s possible that they were simply offered two movies besides their Star Wars deal, which resulted in Confederate‘s delay. Still, the idea of Weiss and Bloys crafting their own Star Wars trilogy is an exciting one, with the duo’s plans for the franchise still a mystery. Overall, Lucasfilm is going to continue breaking new ground for the Star Wars franchise, as it has since Disney acquired George Lucas’ studio years ago. This was already done through standalone films and the upcoming live-action series The Mandalorian, but things are going to get even more interesting once Episode IX finally arrives in theaters. Because for the first time in A New Hope arrived in theaters in 1977, the next Star Wars movies will have no connection to Luke Skywalker and his bloodline. D.B Weiss and David Benioff must find a way to get the generations of fans invested in new characters and settings, presuming J.J. Abrams’ didn’t lose them all with the release of Episode IX. Luckily for the pair of filmmakers, they know how to craft compelling characters in Game of Thrones— and plenty of them. I’m particularly interested to see when D.B. Weiss and David Benioff will set their Star Wars movies– regardless of how many blockbuster it’ll be. Aside from the current trilogy, much of the new Star Wars content has been set in the past, specifically during Empire rule. It would be exciting to flash forward and see what the future of the galaxy is like. That, or additional stories set during the prequel trilogy. The next installment in the Star Wars franchise is J.J. Abrams’ Episode IX on December 20th. In the meantime, check out our 2019 release list to plan your next trip to the movies.